Editor's note: An earlier version of this story contained an incorrect price for the tailgate. The suggested retail price is $995. The optional centre step is priced at $295. In the battle for pickup buyers, Detroit's automakers are rolling out innovations at a furious pace. The latest part of the truck to go high tech: the humble tailgate. No longer just a door, the tailgate has become multifaceted with more flexibility than a gymnast. 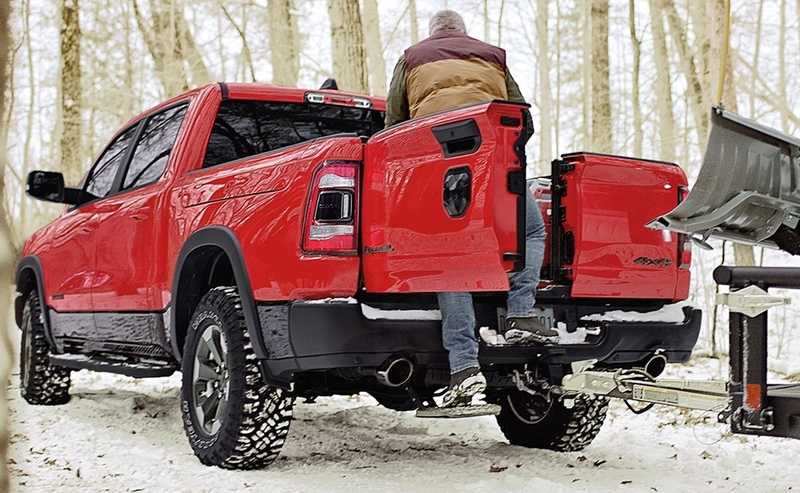 Canadian Ram buyers will soon be able to opt for a split-folding multifunctional tailgate that brand officials say adds cargo access. The doors split 60-40 and each can swing open 88 degrees. Ram says the new tailgate is trailer-friendly and can be operated while the hitch and trailer are connected to the truck. While Canadian pricing hasn't yet been announced, the new tailgate is a US$995 option in the United States. 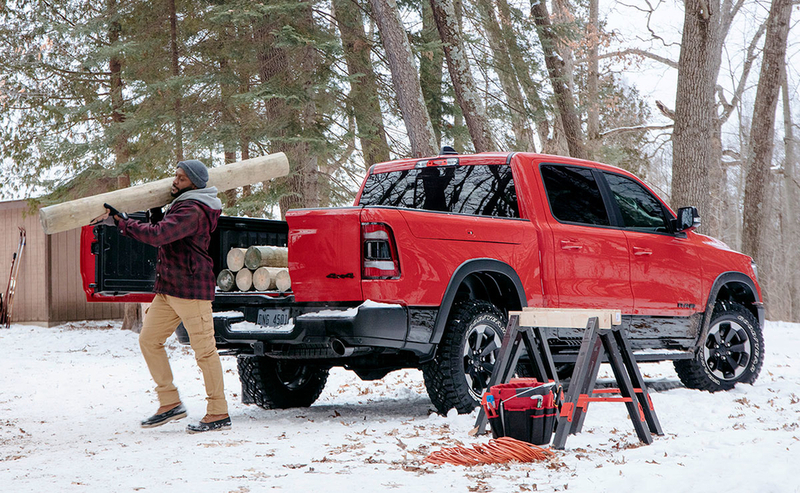 The new tailgate will be available across all seven 2019 Ram 1500 models sold in Canada and will reach Canadian dealerships during the second quarter of 2019. GMC, for the 2019 model year, introduced on the Sierra the MultiPro tailgate, a six-position, power-operated feature that is designed to help the driver with a number of tasks. For instance, it can be configured into a workstation or it can help prevent cargo from sliding. The MultiPro is controlled by buttons on the key fob. 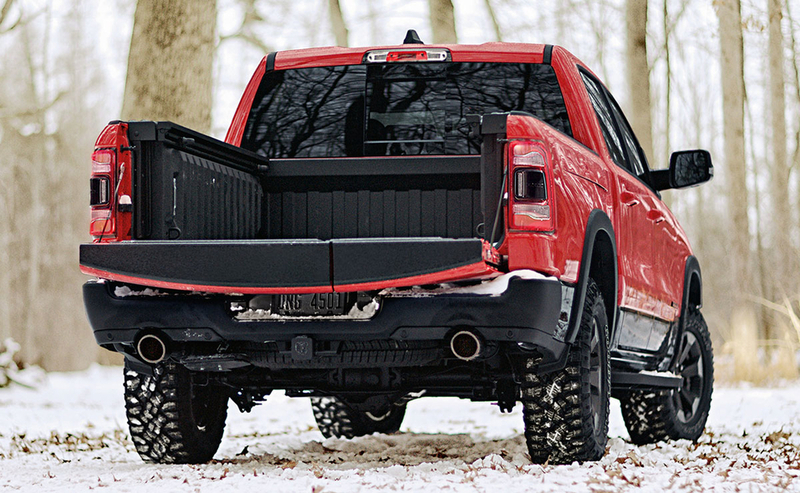 Ram's tailgate has a 2,000-pound (907-kilogram) load rating. Reid Bigland, head of Ram, said in a statement, "The Ram multifunction tailgate is intuitive to operate and owners will find it immediately useful." Ram was the second-best selling pickup nameplate in Canada last year. The brand sold 84,854 pickups behind only the Ford F series, which had sales of 145,694. However, combined sales of the GMC Sierra and Chevrolet Silverado totalled 115,312 units for parent company General Motors.